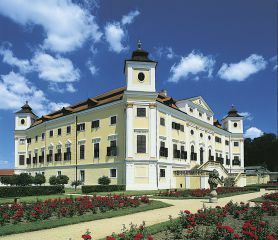 A late-medieval fortress surrounded by a moat, and a major Hussite centre during the Hussite wars, it was converted into a four-wing Renaissance chateau that dictated the layout of Milotice Chateau. 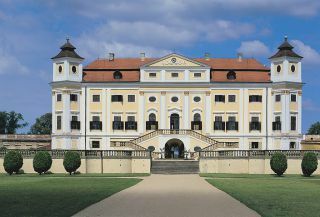 The chateau has been owned by some prominent families: the Žerotíns, Zástřizlys, and Valdštejns. In 1648 the demesne was purchased by the provincial governor Gabriel Serényi. It has been subject to catastrophic fires twice, in 1663 and 1705. 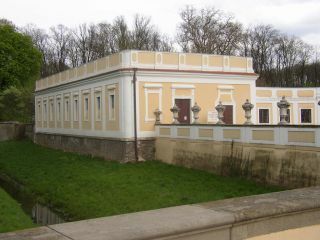 It was probably reconstructed, “Danubian style”, by F. B. Klíčník, a local master builder. A four-wing, two-storey chateau with corner towers. 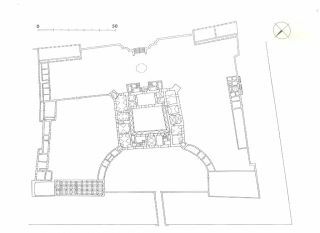 A moat, a wall with bastions, arcades and vaults on the ground floor have survived from the former Renaissance chateau. Above the garden parterre is a terrace with a two-shouldered staircase and an entrance to the main rectangular hall – the large summer room – lit by the large bay windows. The sala terrena is below the staircase. 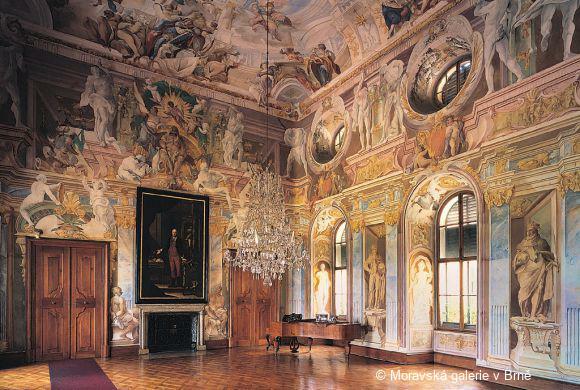 Part of the original art collection is preserved in the chateau, chiefly paintings by J. F. Adolf, together with various items of furniture and porcelain from the 18th and 19th centuries. 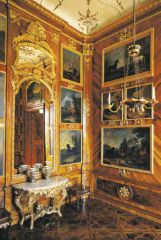 The countess's study, with original canvas wallpaper, is among a few rooms to survive intact. 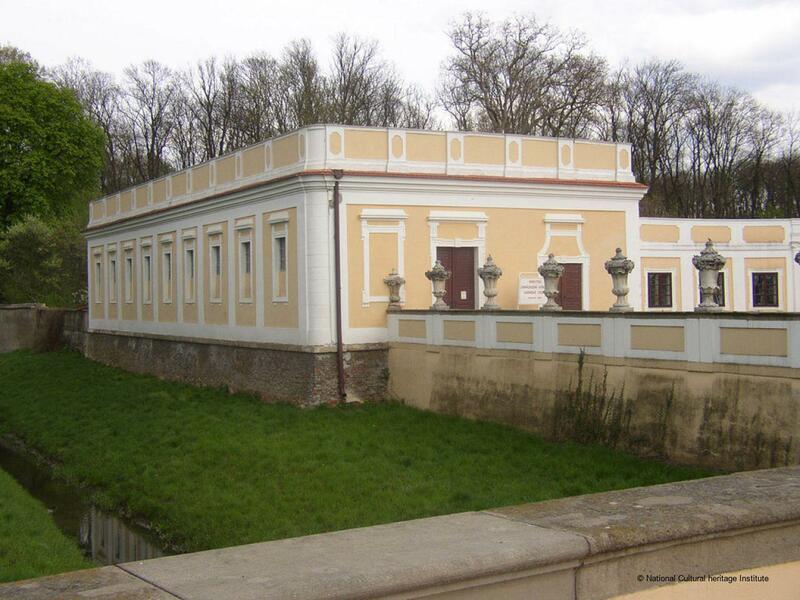 The chateau is adjoined by a “French Baroque garden” with a central pavilion (1766), an English park, two conservatories with a display of Moravian Baroque sculpture and a vast pheasantry. 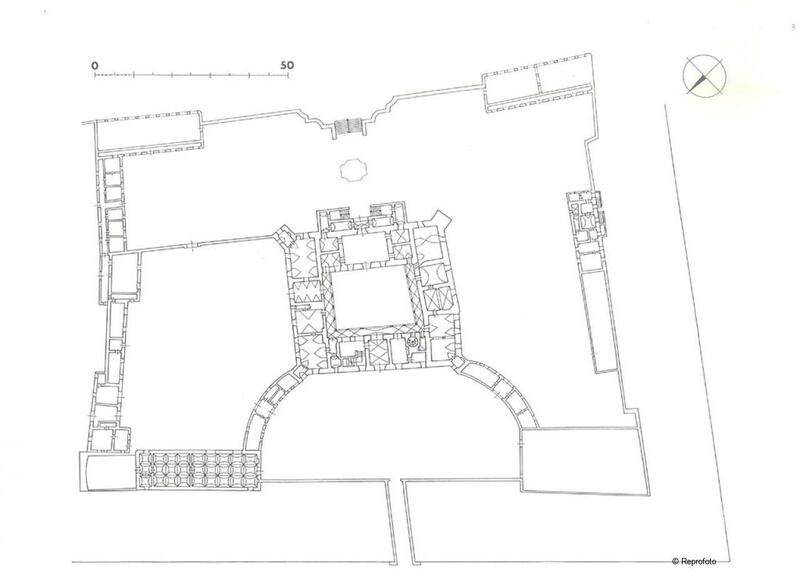 The layout of the four-wing chateau with corner towers was dictated by a previous Renaissance building. 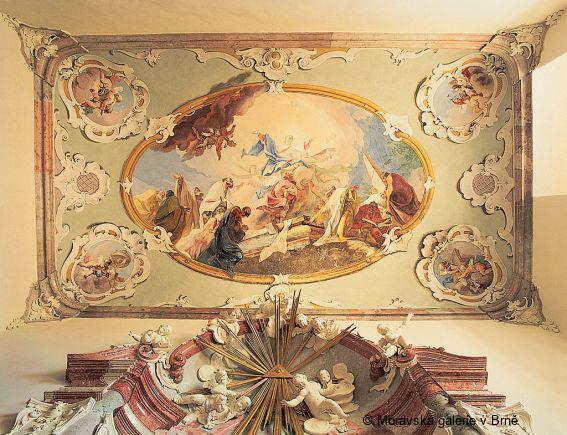 Its reconstruction in the “Danubian style” was carried out by a local master builder, while its decoration involved artists from Brno and Vienna as well as Italian stucco specialists. The impressive entrance consists of sculpted decorations, introducing the main concept of the building: the celebration and mythologization of the investor’s family. The subject of the wall and the ceiling frescos is the triumph of the imperial army in the struggle against the Turks at the turn of the 17th century. 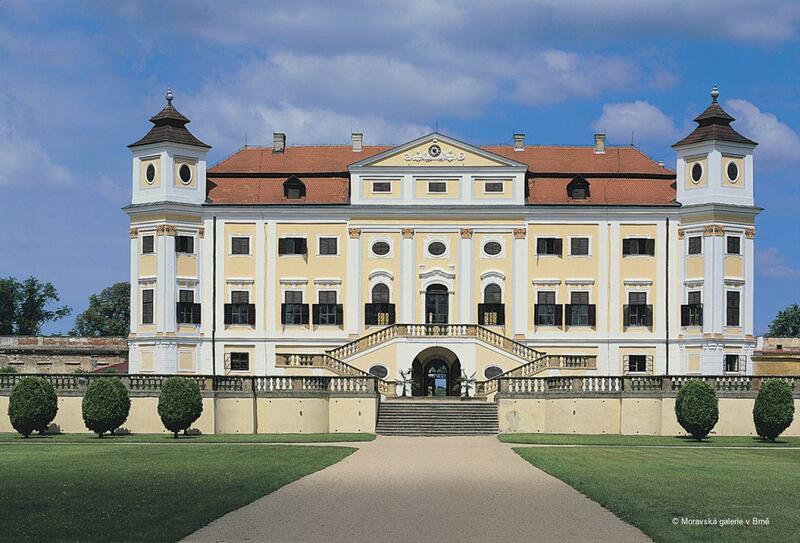 The chateau was constructed between 1586 and 1596, when the demesne was owned by Bernard Ludvík Tovar of Enczesfeld. 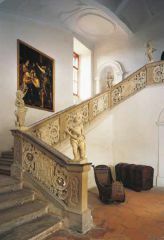 Designs for the garden (1716), chateau, the sculpted decoration and the paintings on the staircase are documented in contracts. 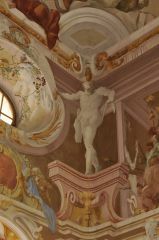 The fresco in the main hall is signed and dated; dates are also found on the portal (1722) and the ledge of the balcony on the first floor (1743). 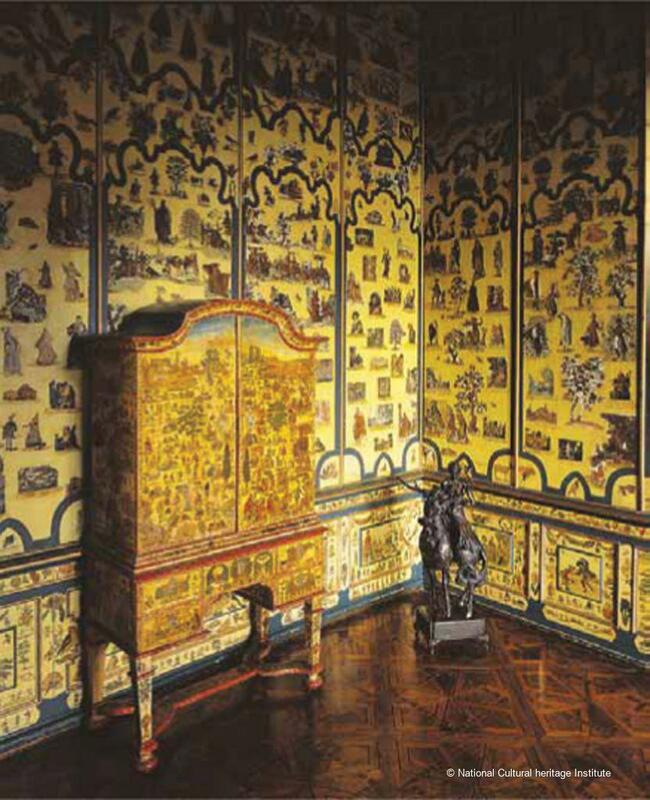 Receipts for the interior decoration from 1744–1745 have also survived. 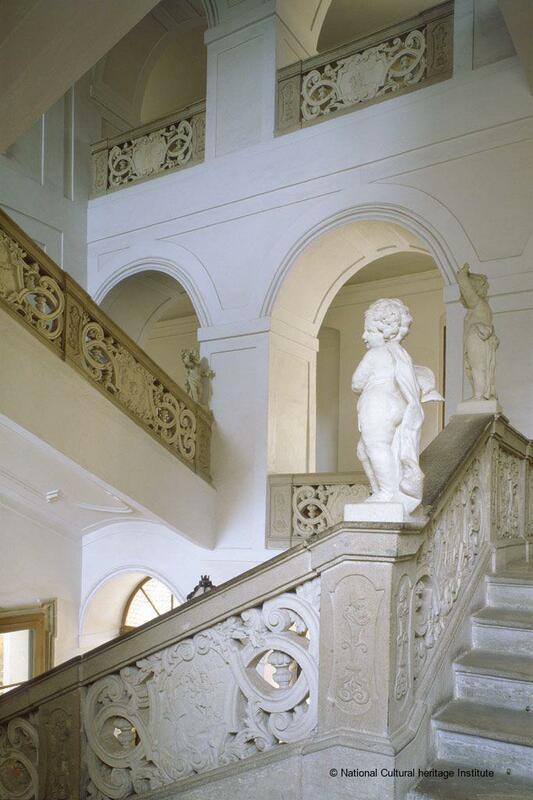 The impressive chateau entrance is rich in sculpted decoration. The bridge opens with sphinxes and the parapet is lined with vases with putti. The entrance gate is flanked by personifications of Strength and Power, symbolised by the mythological figure of Hercules and the figure of a ruler with the coat of arms of the investors. The gate pillars carry winged horses. The artistic ideas culminate in statues of ancient gods on the parapet: Hera, Zeus, Pallas Athene and Apollo, epitomising Good Government, Wisdom and the Arts (J. C. Pröbstl). The spectacular rectangular hall, referred to as the large summer dining hall, spans two storeys. 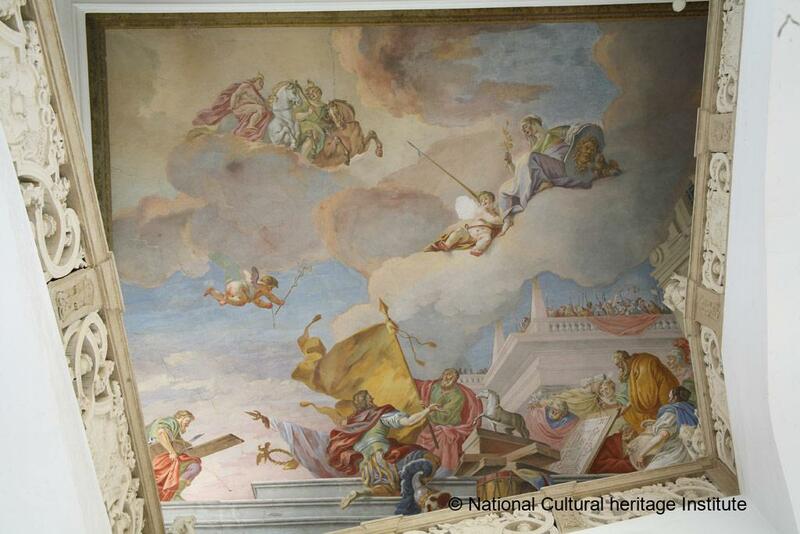 The subject of wall and ceiling frescos is the triumph of the imperial army in the struggle against the Turks at the turn of the 17th century. The illusionary architecture blends with portraits of family members: Jan Karel Serényi (d.1691) took part in the victorious Siege of Vienna in 1683 and became a Commander-in-Chief in Munich. The figure of Hercules enthroned and the depictions of his deeds in the presence of ancient gods, along with the allegories of the Arts and Sciences, celebrate the military past and aristocratic nobility of the family. Above Jan Karel, András Serényi (d.1345) with allegories of Victory and Eternal Fame is depicted. 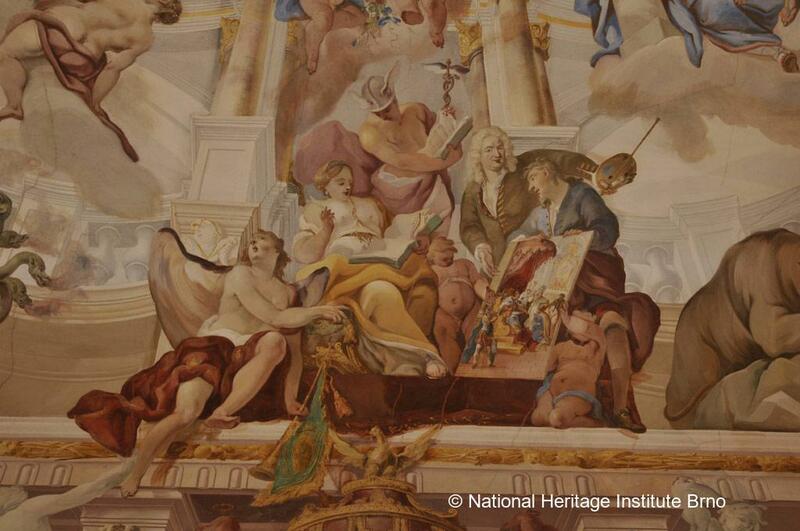 The central figure is Emperor Charles VI portrayed as Apollo, surrounded by the Zodiac, Aurora, Luna and Chronos. 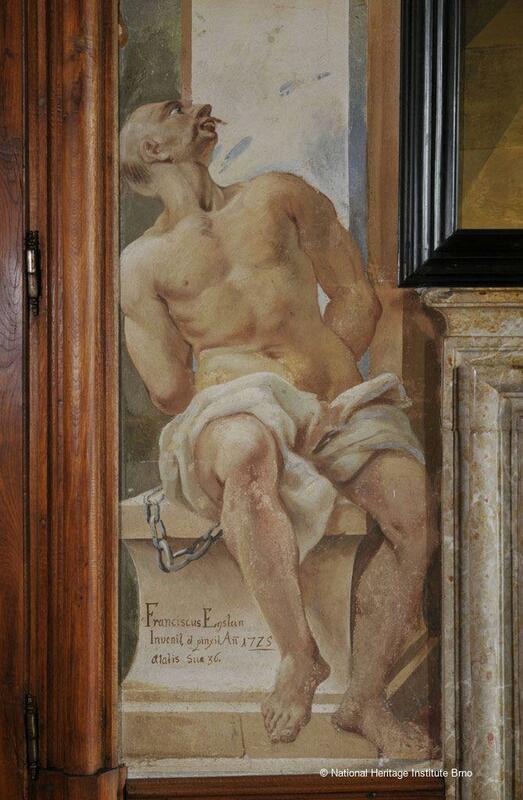 The painter pays tribute to the family in his self-portrait. 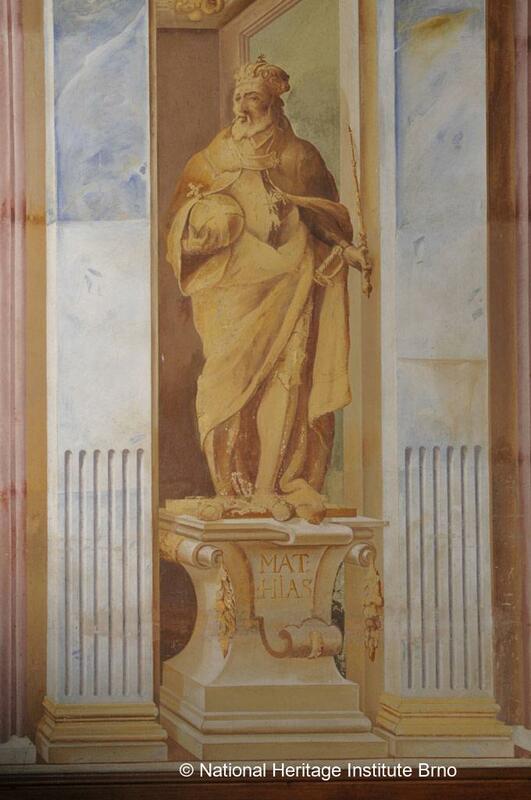 He is seen pointing to the Baptism of an Aristocrat, a scene that illustrates a family legend about an ancestor from a noble family of Hungarian origin known as Temnurtus (“The Dark”), who was baptised in 965 and adopted the name Serenus (“The Powerful”). 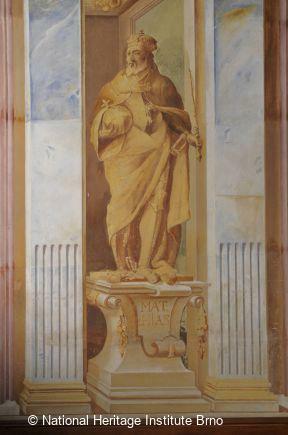 Representations of Habsburg sovereigns, Czech kings and ancient rulers supplement the celebration of the Serényi family. Family history and its mythologization are major iconographic elements in Baroque residences. The rich ornamentation consists of strapwork, grids, bells and festoons of flowers. 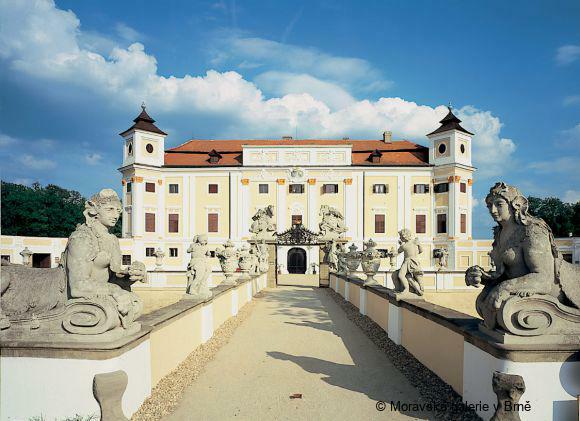 G. M. Fontana came from a large north-Italian family active in Moravia from the 1660s. 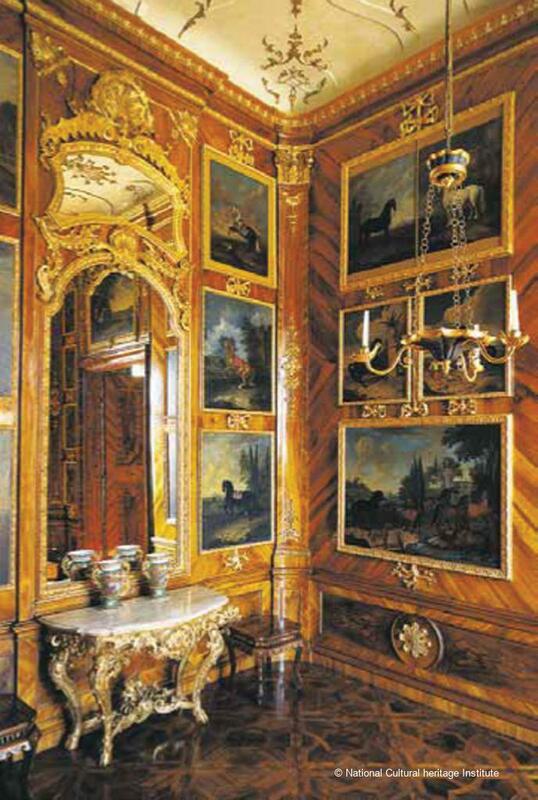 He also worked on the decoration of the chateau frontage. 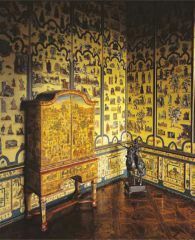 The room originally featured tapestries with scenes by P. Brueghel Sr. The stone cantilever staircase is decorated with sculptures of putti holding components of the family's coat of arms and representing allegories of the Senses. Cartouches in the parapet feature scenes from Virgil's Aeneid. 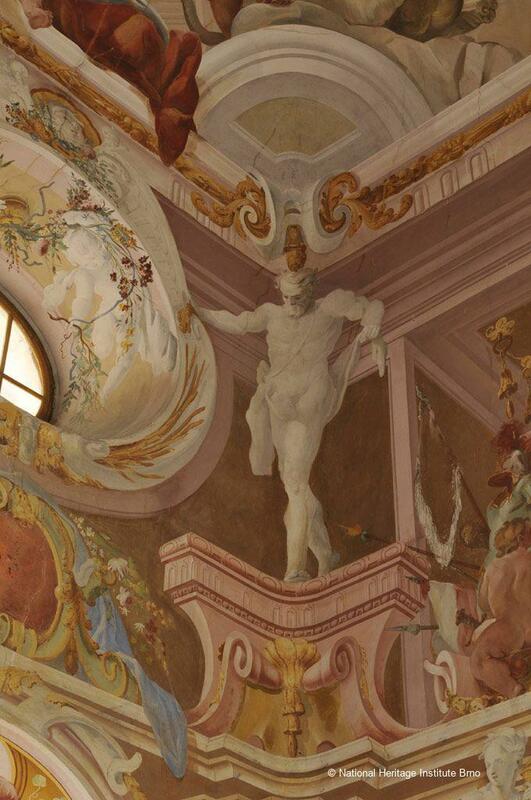 The monumental staircase hall closes with a fresco of Odysseus presenting the Trojan horse. The entrance space portrays the family as protectors of Christianity and patrons of the arts. 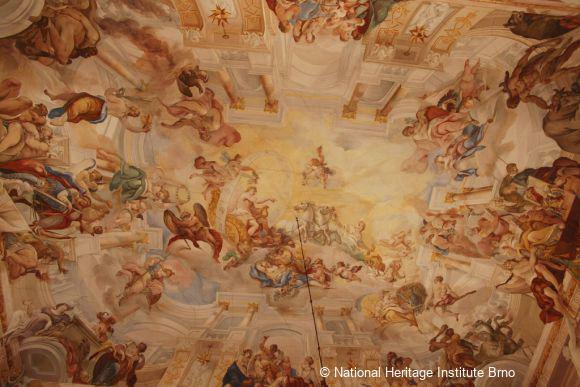 The fresco of the Assumption of the Virgin Mary is one of the lesser-known works of renowned Viennese master, Mildorfer. 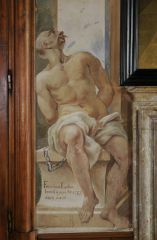 A sketch for the painting is preserved in the Reuschel Collection in Munich. Cartouches contain putti with symbols of St. John of Nepomuk. Jaroslav Petrů, Státní zámek Milotice, Brno, 1971. Klára Garas, Unbekannte Fresken von Josef Ignaz Mildorfer, Mitteilungen der Österreichischen Galerie, 24–25, 1980–1981, pp. 93–131. Ivo Krsek –­­ Zdeněk Kudělka (ed) –­­ Miloš Stehlík –­­ Josef Válka, Umění baroka na Moravě a ve Slezsku, Prague, 1996, pp. 238, 360, 462, 492. 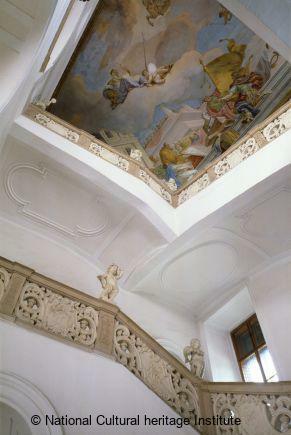 Bohumil Samek, Umělecké památky Moravy a Slezska II, J–N, Prague, 1999, pp. 510–520. Miroslava Bočková –­­ Veronika Selucká, Milotice 1341–1945, Brno, 2003.